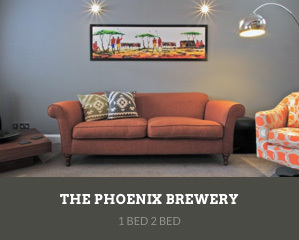 Nestled in the heart of Newbury is the Courtyard of Apartments we have at the Phoenix Brewery and Phoenix House. These historical buildings have been converted into a range of one and two bed apartments of all different shapes and sizes to provide a unique block of accommodation for groups of workers, colleagues and guests to stay. We currently have 12 apartments here, all uniquely furnished and equipped, all with wifi and large screen TV’s and of course fully fitted kitchens. The Phoenix Courtyard is situated in the heart of Newbury, within a short walk of the train and bus station and all the local shops, restaurants and cinema. Private parking is available onsite. 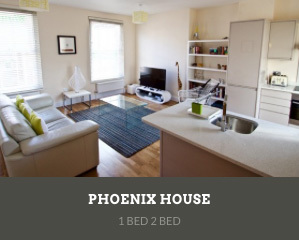 At Phoenix Apartments we believe corporate visitors deserve more than corporate accommodation and that’s why we have developed and furnished these apartments to provide a comfortable home from home for anyone working in Newbury and the surrounding area on short term contracts. If you work at Vodafone, Ericsson or any local business these apartments are perfectly situated. Click on the links below to see more of these apartments.